This entry was posted on Tuesday, July 7th, 2009 at 6:41 pm and is filed under Uncategorized. You can follow any responses to this entry through the RSS 2.0 feed. You can leave a response, or trackback from your own site. where is my dom0 ? What kind of kernel you expect to find under /usr/lib/xen/boot/ ? but what are the files in /usr/lib/xen/boot/ ? However, i would recommend wait until 3.4.1 official tarball. It’s up to you. Personally, i don’t like and don’t assemble for myself AMD&NVIDIA Boards based boxes. 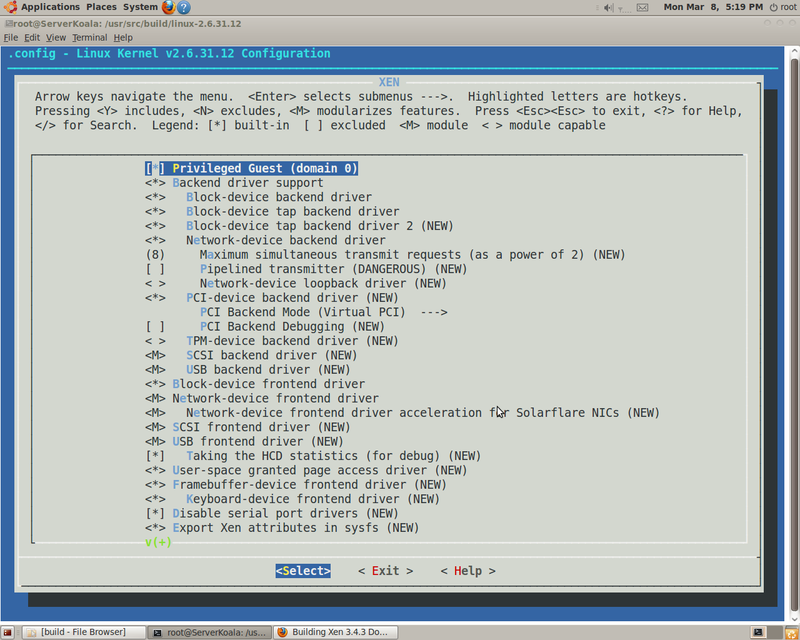 However,this hardware works for Xen and is very popular. my last try was with theses ..
but i am stopping on the resulting dom0 …. but without tty console, just a gui one. Please If you have any idea, I’d love to read them. It’s very old post. Try 2.6.31.8(9,..,12) with the most recent Andy’s patchset(link is the same). The Problem i have at the moment is that im not sure if this a problem form the Dom0 kernel or a problem from the xen hypervisor.. 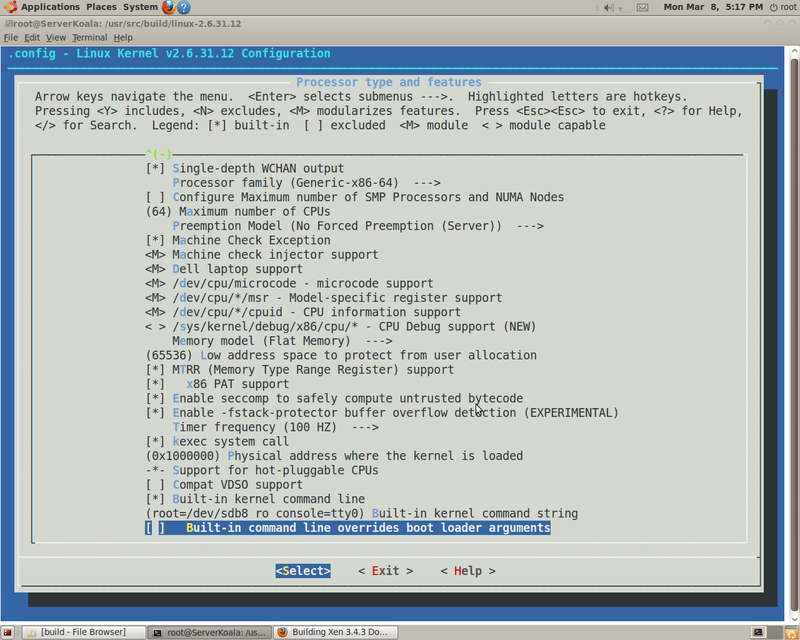 The Kernel 2.6.31-11 with the xen patches worked. [2010-03-05 16:24:51 20266] INFO (SrvDaemon:336) Xend changeset: unavailable. and submit it to xen-devel. 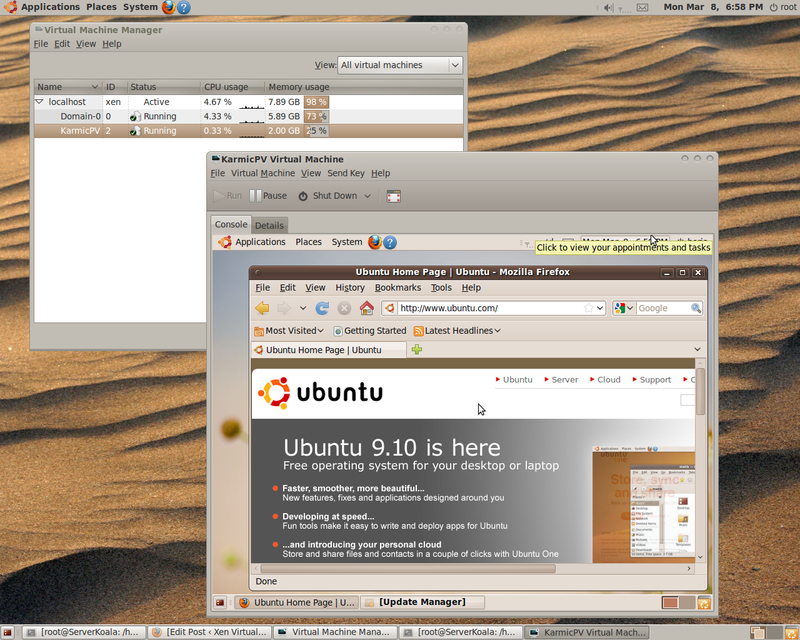 1.How installed Xen Hypervisor on Ubuntu 9.04 (9.10) server ? Have you modified Config.mk as required ? under Xen 4.0-rc4, 3.4.3-rc3 on top of Karmic Server. It went away when I removed compatibility code for older versions of Xen (under menuconfig –> Device Drivers –> XEN –> Xen version compatibility). At least, that’s what I think did it. of sources you’ve got right the following. Big thumbs upward in making this kind of great wewebsite page! want to say regarding this article, in my view its in fact remarkable for me.